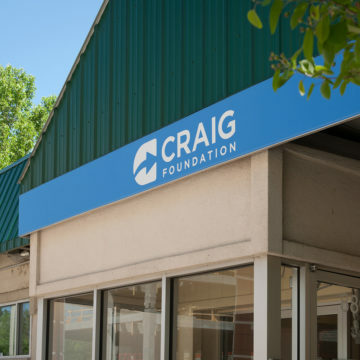 The Craig Hospital Foundation’s Board of Directors guide efforts to raise and manage funds for the hospital, establish policy for the Foundation and help determine fundraising priorities. 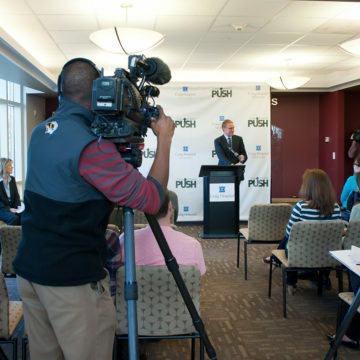 The Board is comprised of business and philanthropic leaders who work to enhance community awareness and help garner community support for Craig Hospital. Jandel Allen-Davis, MD is the President and CEO of Craig Hospital in Denver, Colorado, a world-renowned rehabilitation hospital that exclusively specializes in the neuro-rehabilitation and research of patients with spinal cord and traumatic brain injuries. 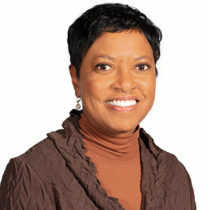 Dr. Allen-Davis was the vice-president of Government, External Relations and Research for Kaiser Permanente Colorado from 2009-2018. In that role she led the organization’s government relations and regulatory affairs, community relations and community benefit investment, clinical research activities, stakeholder engagement, communications, and advertising and marketing functions. Dr. Allen-Davis is board certified in obstetrics and gynecology and was in active practice for 25 years. A graduate of Dartmouth College and Dartmouth Medical School, Dr. Allen-Davis completed her residency at Thomas Jefferson University Hospital in Philadelphia. Dr. Allen-Davis is an active participant in the community and currently serves on the boards of Denver Botanic Gardens, the Denver Metro Chamber of Commerce, National Jewish Health and Mile High United Way. She is married to a Dartmouth College graduate, Anthony Davis (‘82) and they have two children, one of whom graduated from Dartmouth College in 2009. She enjoys gardening, hiking and is a fiber artist whose work has been displayed in several galleries over the years. Karri Callahan, Chief Financial Officer, oversees all finance and accounting functions at RE/MAX Holdings, Inc. and its affiliated companies, including RE/MAX, LLC and Motto Franchising, LLC. The corporate officers and department heads who report to her cover areas such as billing, cash receipts, payroll, accounts payable, internal and external financial reporting, tax accounting, compliance, contracts, customer relations and more. Karri joined RE/MAX in 2013 as a Senior Manager of SEC Reporting, assisting with the Initial Public Offering of RE/MAX stock. She was promoted to Vice President, Corporate Controller in 2014. In January 2016, she was promoted to co-CFO, and she became the sole CFO in April 2016. A native Coloradan, Karri grew up approximately three miles from RE/MAX World Headquarters. She earned her Bachelor of Science in Business Administration and Master of Science in Accounting degrees from the Leeds School of Business at the University of Colorado at Boulder. Karri came to RE/MAX from Ernst & Young, LLP, with more than 12 years of accounting and auditing experience. Karri, her husband Rob and their two sons live in Denver and enjoy skiing and swimming. They also are diehard Denver Broncos fans. Lisa was promoted to Aimco’s Executive Vice President, General Counsel and Secretary in December 2007. Lisa is responsible for Aimco’s legal, insurance and risk management functions and has executive responsibility for human resources, compliance and asset management. Lisa was also named Chairman of the Aimco Investment Committee in November 2014. She joined Aimco in July 2002 as Vice President, Assistant General Counsel and Assistant Secretary and was promoted to Senior Vice President in July 2004. 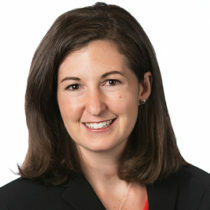 Prior to joining Aimco, Lisa was engaged in the private practice of law at Hogan & Hartson LLP (now Hogan Lovells), with an emphasis on public and private transactional work, public equity offerings and venture capital financing. She also spent two years as a judicial clerk. Lisa studied Public Policy at Stanford University and earned her law degree from Harvard Law School. She serves on the Board of Trustees of the Rose Community Foundation, as well as on the Foundation’s Jewish Life Committee. She is also a member of the Board of Trustees of Denver Jewish Day School. Lisa is a Denver native and met her now husband, Rich Cohn, at her first youth group event. Rich and Lisa are the proud parents of Avi. Lisa and Rich enjoy celebrating life with family and friends, golf, sports, theater, movies, and traveling. Above all, their greatest pleasure is spending time with Avi. Michelle Dorman is a community volunteer and leader. 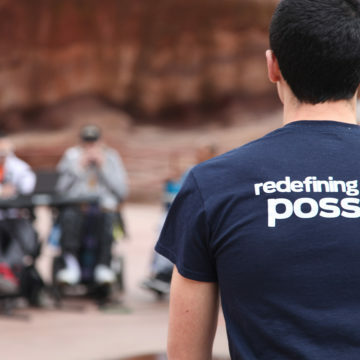 She moved back to her home state of Colorado 4 years ago and is focused on contributing to organizations that help the most vulnerable and/or enhance the quality of life. She is on the Board of Directors for Volunteers of America, Colorado Branch, and was recently asked to join the Executive Committee. Michelle has been involved with fundraising for the Central City Opera, recently co-chaired their annual gala event, and has just joined the Board of Directors. Prior to moving back to Colorado, Michelle lived in Lake Oswego, Oregon where she was involved in several cultural, educational and community organizations. Michelle served on the Board of the Lakewood Center for the Arts, including positions as Marketing Chair and Chairman of the Board. She was involved in leading a capital campaign which funded a new rehearsal building and entry. While her children were in school, she served on education related task forces and committees. Michelle developed an ongoing "Senior Seminar" program for the high schools providing career related education to students. She served on city/school committees focusing on parks and open space and was on the election committee for the current mayor. She also served as Treasurer for The Women’s Care Foundation in Portland. Michelle graduated from Lewis & Clark College with a Bachelor of Arts. She has remained involved with her alma mater and, most recently, served on a committee formed to develop a vision for the College Career Services Office. Michelle’s corporate life included sales for Proctor & Gamble, MCI Corporation and Sprint. In her final role at Sprint, she managed a sales organization covering several western states. Michelle is married and has three grown children. Dr. Michael D. Durham, Ph.D., MBA retired as president of ADA Environmental Solutions, LLC (ADA-ES LLC) in April 2015. 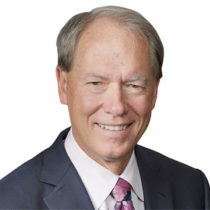 Dr. Durham was the Chief Executive Officer and President of ADA-ES Inc since 2003. Dr. Durham was a co-founder in 1985 of ADA Technologies Inc., an Englewood, Colorado private company which contracts to the Federal government and others for development of emission technologies. Dr. Durham served as a Director of Earth Sciences Inc. since April 30, 1997. He has presented and published over 200 papers and has been awarded eleven patents. Dr. Durham received the 2001 AWMA Award for innovative air pollution control technology and a 2003 R&D 100 award for mercury control technology. In 2002 he was appointed to the National Coal Council and is on the Board of Directors of the American Coal Council and the Institute of Clean Air Companies. Dr. Durham has a B.S. in Aerospace Engineering from Pennsylvania State University, an M.S. and Ph.D. in Environmental Engineering from the University of Florida and an Executive MBA from the University of Denver. Prior to the formation of Ardent Mills, Dan held various merchandising and managerial positions since joining Cargill in 1981. In 2009, Dan was named president of Horizon Milling, a Cargill joint venture with CHS. In this capacity Dan was responsible for the flour milling, mix and bakery operations of Horizon Milling in the U.S. and Canada, offering wheat and flour products and solutions for a wide range of ingredient applications. Prior to that, Dan served for 10 years as president of Cargill AgHorizons, U.S., and was responsible for the overall management of Cargill’s grain handling and retail crop input business in the U.S. He was appointed as assistant vice president of Cargill, Ltd. in Canada in 1990 and of Cargill’s grain division in 1992. In 1995, he was named vice president of its North American grain business. Dan currently serves on the Executive Committee of the North American Millers’ Association and the Board of Trustees of the Grain Foods Foundation. Dan also serves on the Board of Advisors for the University of Colorado-Denver Business School and on the Board of Trustees of Bethel University, St. Paul, Minn.
Dan graduated from Bethel University in 1981 with a bachelor's degree in business administration and economics. He resides in Denver, Colo., with his wife, Alea. He has two adult children, Elise and Jordan. In his spare time, Dan spends as much time as he can with his family, especially his 2 young grandsons, and likes to run and hike. Mary Feller has been in the fundraising profession for more than 30 years having worked in education organizations before joining Craig Hospital Foundation as Executive Director in 2010. Prior to heading the Craig Foundation, she worked for Metropolitan State College, Graland Country Day School, Maryville University, Fontbonne College and Saint Louis University. Mary currently serves as a member of the Philanthropy Commission for the Council for Advancement and Support of Education. Previously she was a member of the board of the Association of Fundraising Professionals in Colorado and the Chair of the Board for District VI of the Council for the Advancement and Support of Education. 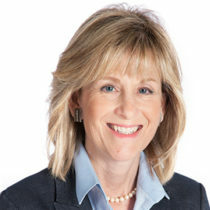 From March 2014 until March 2016, Leslie Fox served as the Chief Operating Officer of Invitation Homes, the largest owner/operator of single family housing rentals in the United States. Invitation Homes sponsored by Blackstone acquired over 50,000 homes in three years and currently has an equity value in excess of $10 billion. In her two years at Invitation Homes Leslie was responsible for transforming the company into the best performing single family rental housing operator in the United States. 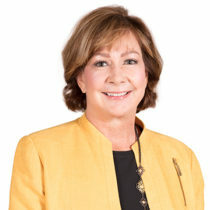 Prior to Invitation Homes, from 2008 through 2013, Leslie served as the Chief Operating Officer of American Residential Communities (ARC), the largest manufactured housing community operator and owner in the United States. The company owned 245 communities with over 52,000 home sites in 21 states and, had an equity value of 2.0 billion dollars. After her five years at ARC, the company’s assets were sold achieving a mid-teens IRR for the company’s sponsor. From 2005 to 2008, Leslie served as an independent consultant in the real estate sector, with clients including Mercy Housing and the Denver Housing Authority. From 1999 through 2004, Leslie served as Executive Vice President of Equity Residential (NYSE:EQR), an S&P 500 company and the largest publicly-traded owner and operator of multifamily housing in the United States. During her tenure at Equity Residential, Leslie was the President of the Lexford affordable housing division. In addition, she oversaw EQR’s marketing, procurement, and information technology departments. Prior to EQR, Leslie served as the Chief Operating Officer of Lexford Residential Trust (NYSE:LFT), a publicly-traded owner, operator and developer of multifamily housing. Lexford Residential Trust was merged into Equity Residential in October of 1999. Prior to joining Lexford, Leslie served as Chief Investment Officer and later President of two NYSE listed mortgage REITs, Commercial Assets, Inc. and Asset Investors Corporation. In 1993, Leslie was hired to re-deploy the companies’ capital in a new financial instrument, low-grade commercial and residential mortgage backed securities. Previously, Leslie was a Senior Vice-President of National Housing Partnerships (NHP) and a Principal at American Management Systems, a worldwide management consulting firm. Leslie has served on the Board of the National Multi-Family Housing Council and was a founding member of the Commercial Securitization Council, which established the reporting standards for the commercial securitization industry. Leslie holds a B.A. from University of Colorado and a J.D. and M.B.A. from the University of Denver. Riki Hashimoto serves as an executive managing director of Newmark Knight Frank Capital Markets in the Denver office, where he and his partner, Dan Grooters, focus on investment sales. Considered one of the top investment teams in the Denver metropolitan area, they specialize in the acquisition and disposition of office, retail and industrial properties. Mr. Hashimoto was ranked as the Number One producer in NKF Capital Markets' Denver office in 2014 and has closed more than 282 investment real estate transactions in the past decade and a total value of approximately $2.13 billion throughout his career. Mr. Hashimoto joined NKF Capital Markets after serving as a senior vice president with CBRE's Capital Markets Group. 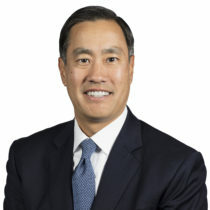 Prior to that, Mr. Hashimoto built extensive client relationships and a successful track record over a nine-year span as a senior vice president at Grubb & Ellis Company, where he served on the firm's Brokerage Leadership Board from 2008 to 2011. From 1997 to 2002, Mr. Hashimoto worked at Marcus & Millichap, where he gained critical experience as a sales manager. He began his real estate career in 1995 as an associate with Grubb & Ellis. Mr. Hashimoto graduated from Drake University with a Bachelor of Science degree in business administration, marketing. Scott P. Hefner is the Denver office managing partner of Ernst & Young LLP (EY), a global leader in assurance, tax, transaction and advisory services. He has led the Denver office for more than seven years and has more than 26 years of experience providing a variety of professional services to clients. 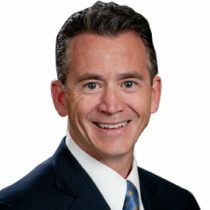 Scott also serves as EY's Southwest region Technology, Media and Telecommunications market segment leader. 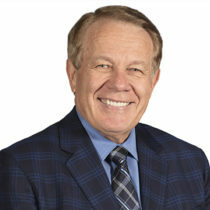 He is a member of the board of the Boy Scouts of America Denver Area Council; a member of the American Heart Association’s Denver Heart Ball Executive Committee; a member of the Mile High United Way Donor Relations Council and past chairman of the Tocqueville Society. Scott is a Certified Public Accountant in multiple states and holds a Bachelor of Business Administration degree with an accounting emphasis from the University of Missouri at St. Louis. Mark E. Honnen is the president and CEO of Honnen Equipment Co., a construction equipment distribution business providing heavy and light construction equipment, cranes and asphalt equipment. Mark started his career in banking with the Colorado National Bank of Denver, now U.S. Bank, in 1985 and joined the family business in 1988. He began as a territory manager and has been president of the company for eighteen years. In the last eleven years, Mark has grown the business from three locations in Colorado to ten locations throughout Colorado, Wyoming, Utah and Idaho. Mark graduated from the University of Colorado, Boulder in business finance and received his MBA from the University of Denver. He serves on the board of the Boy Scouts of America Denver Area Council and is the treasurer/director of the John Deere Construction & Forestry Dealers Association of North America. Prior to forming Crescendo, Jennifer was employed at Hewlett Packard and Agilent Technologies. Over her 25-year career, she led functional teams in R&D, Marketing and Manufacturing, and Executive General Management roles for hardware, software and services organizations. Most recently she was Vice President of the Global Solutions Business Unit, a $750M organization with 4 divisions and over 1500 employees in 35 countries. From a product perspective, she has led teams in categories ranging from Computers (workstations & servers), to semiconductors to electronic test equipment. She is currently on the board of SpectraLogic Corporation, a manufacturer of tape storage devices and Sartori Cheese, a fourth generation family retail and industrial provider of cheese. She is also a member of the Colorado Forum, a non-partisan business organization working to further governmental policy issues that benefit Coloradoans. 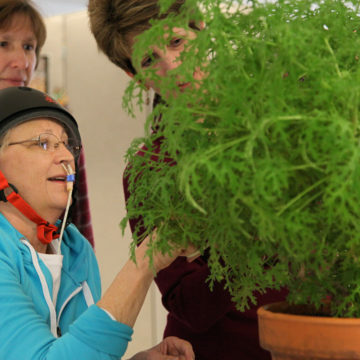 She is active in several nonprofit organizations including Opportunity International, the NDSU Alumni Board, and the American Lung Association. 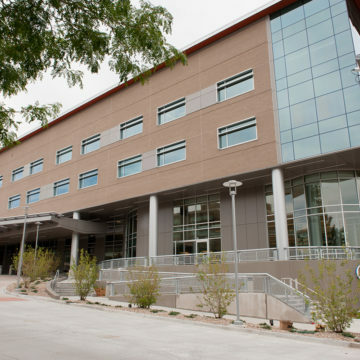 Hopkins holds a bachelor's degree in Industrial Engineering from North Dakota State University, and master's degree from Stanford University. 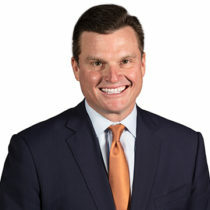 Since 1993 he has been Chief Executive Officer of NexGen Resources Corporation, a natural resources company he founded, which supplies all of the coal requirements for Xcel Energy’s Texas power plants, provides alternative fuel and clean coal technology commercialization, explores and develops oil and gas resources and provides mine development and operations. NexGen also manages a diverse portfolio of real estate assets it has developed for its own account. Under his leadership, NexGen has been involved in over 15 company start-ups. Prior to forming his company, Charles held Board, CEO, and senior executive positions with Kaiser Steel, Kaiser Oil & Gas, Kaiser Coal, Kaiser Power, Perma Resources and Consol Energy. 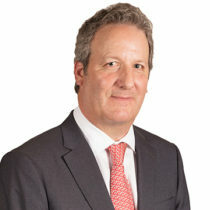 His experience includes responsibility for planning and operations of major companies, overall profitability of energy and industrial operations, start-up of new oil and gas, mining, and power companies, acquisitions and divestitures, investments in diversified industries and both corporate and project financing. Charles is a licensed Professional Engineer in the State of Colorado and a member of the Society of Mining Engineers of AIME. He was previously nominated by the Secretary of Energy to the National Coal Council and is a former director of the National Coal Association and the Colorado Mining Association. He is also a member of the American Coal Council, Tau Beta Pi Engineering Society, Council of Energy Advisors, the National Coal Transportation Association, the Rocky Mountain Coal Mining Institute, the Western Energy Alliance and the Colorado Oil and Gas Association. Sandy Monteko-Sherman was the Founder/President of Monteko Associates, operating a high tech executive search and management-consulting firm for 14 years. She was instrumental in helping both established and early stage start-up companies in Silicon Valley. She was also the Co-Founder and CEO of Fidelity Partners, now known as The Reliant Group. Sandy recruited joint venture partners to participate in the Resolution Trust Corporation’s National Initiative for the work out and disposition of distressed real estate portfolios across the country. In her volunteer activities for over 25 years, Sandy has chaired a multitude of fundraising events for both private schools and the inner city public schools of San Francisco. Her commitment to public service also includes a position as a Managing Staff Member of the San Francisco Headquarters for the 2008 Obama Presidential Campaign. She directed recruiting and management of over 2000 volunteers. In 2010, her son Harry sustained a devastating TBI and experienced the excellent care at Craig Hospital. She remains a staunch supporter of Craig. John Robinson was one of three Managing Partners for Rutherford Wine Studios LLC, dba The Ranch Winery, the largest wine co-packing and processing facility in Napa Valley, CA. The Ranch was purchased from Sutter Home Winery to provide supply chain solutions for both vertically and non-vertically integrated wine marketers. Previously he was Chief Operating Officer of Morningstar Food, Senior Vice President, Sales & Marketing of the Dean Dairy Group and President & General Manager of Robinson Dairy. John Robb is the Founder and Managing Director for The Stone Creek Group. Stone Creek provides financial advisory and investment management services for families as well as tax-exempt institutions. Previously, John was the Senior Vice President, Managing Director and founder of Alliance Bernstein’s Denver, Colorado, office which specializes in institutional and private client asset management. He joined the firm as a Financial Advisor in 2001 and co-founded Bernstein’s office in Houston, Texas. He was named a Principal in 2004 before relocating to Denver in 2005. Prior to joining Bernstein, John was in the mortgage banking industry with Citibank and other large banks.He is a graduate of the United States Military Academy in West Point, New York, and holds his M.B.A. from Our Lady of the Lake University in San Antonio, Texas. John has served on the Investment Committee for the West Point Association of Graduates since 2004 and has been the Chairman of the Committee since 2010.He is also a Director on the Board for the Association of Graduates. 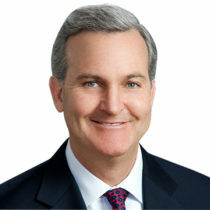 He has been involved with numerous subcommittees that have improved the economic, financial and personnel situation of the Association of Graduates, most recently as part of the WPAOG President & CEO Selection Committee and as the Vice Chairman of the Ethics Committee.At West Point, John was Captain of the 1990 Army Football Team. John and his wife, Patricia, are active in Colorado and enjoy skiing, hiking, golf and traveling with their six children: Jack, Scott, Jill, Ava, Ashi and Cerake. Rose M. Robeson served as the Chief Financial Officer and Senior Vice President of DCP Midstream GP LLC, the General Partner of DCP Midstream Partners LP from May 11, 2012 to February 2014. 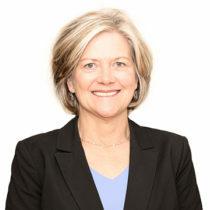 Rose served as the Chief Financial Officer of DCP Midstream LLC (formerly, Duke Energy Field Services LLC) from January 2002 to May 2012 and served as its Group Vice President and Treasurer. She served as the Principal Accounting Officer and Vice President of DCP Midstream LLC. Rose joined Duke Energy Field Services Llc. in May 2000 as Vice President and Treasurer. She served as Vice President and Treasurer of Kinder Morgan Kansas, Inc., (formerly, Kinder Morgan Inc., KN Energy, Inc.) from April 1998 to April 2000 and Assistant Treasurer of Kinder Morgan Inc. from August 1996 to April 1998. She has been in the energy industry since 1987. Rose has 30 years of experience in various aspects of the oil and gas industry, including exploration and production, midstream and refining and marketing. She also has significant financial management, risk management and accounting oversight experience, which is important for financial reporting and risk management functions. She started her career as a certified public accountant with Ernst & Young. She joined Total Petroleum Inc. in 1987 and served as its Assistant Treasurer. She has been an Independent Director of Tesco Corporation since October 29, 2015. She has been an Independent Director of SM Energy Company since July 11, 2014. She has been a Director of AMGP GP LLC General Partner of Antero Midstream GP LP since May 9, 2017. She served as an Independent Director of American Midstream GP, LLC at American Midstream Partners, LP from June 1, 2014 to June 14, 2016. She is a Member of the Association of Financial Professionals, Colorado Society of Certified Public Accountants, National Investor Relations Institute and the Financial Executive Institute. She became a certified public accountant in 1983. Rose received a Bachelor of Science degree in Accounting from Northwest Missouri State University, Maryville, Mo in 1982. Teresa Van De Bogart is a proven and respected leader in a global fortune 500 CPG company. Her ability to lead different functions from accounting to finance to procurement and finally IT is rooted in her ability to set an exciting vision, engage and develop her employees, and drive results. She believes in driving improvements without losing sight of the importance of fundamentals such as controls and governance. She is presently the VP of Global IT Solution Delivery for Molson Coors Brewing Company, where she is responsible for all IT project work globally, a $40m portfolio. She has led the development and roll out of project methodology for IT as well as core execution principles and tools used for marketing and innovation introductions, supply chain implementations and new market entry.